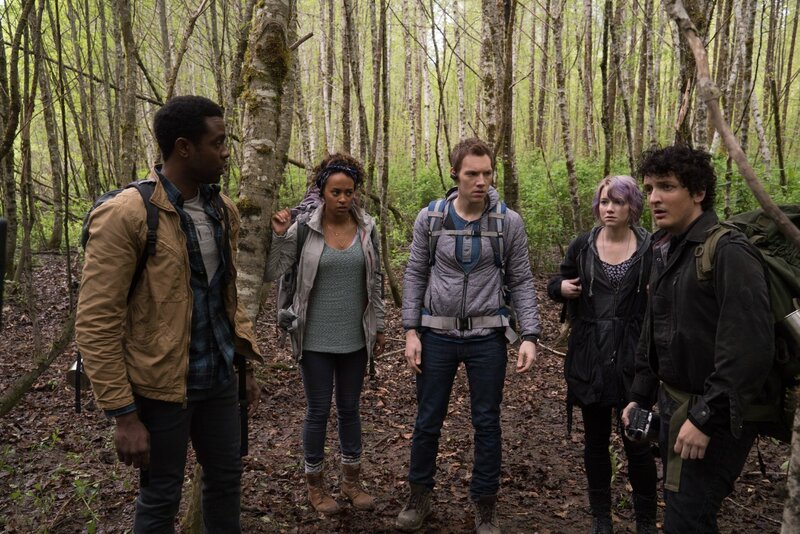 If somebody was to ask me to describe Blair Witch, I’d say that it’s the type I normally liken to gridlock traffic. All stop and go, bumper to bumper, stuck amidst uninteresting and unchanging sites. Let your head down absentmindedly then lift it back up 5 minutes later and everything will look like the same highway to hell. When horror films such as this one take place in the woods, characters are bound to be haunted by ghouls and ghosts while getting lost going in circles. So is the case for anyone who watches Blair Witch with its predictably schlocky story, atrocious performances, and woebegone visual palette. You’ve been warned. Blair Witch has 6 characters, which I remember because I double checked the movie’s trusty credits. And I know all of their names too, also due to the cast overview. James’ (James Allen McCune) sister Heather went missing in the ’99 original. Now in 2014, he sets out to find her with a group of friends after seeing footage uploaded from her camera. Lisa (Callie Hernandez, the only good performer here) is closest to James. With them are friends Peter (Brandon Scott) and Ashley (Corbin Reid). The four unwillingly let Lane (Wes Robinson) and Talia (Valorie Curry) join only because they claim to be the ones who found Heather’s camera. Watching the film made me wonder; did writer Simon Barrett intentionally make these characters as tasteless as water? Does being this inept take a conscious effort? I suppose the movie might work a smidgen better if you have yet to see the original. But what made the former film shockingly tolerable and this one insufferable is the all important Project that’s been dropped from the title. Found footage films are supposed to have an intimate, raw grittiness to them, especially for one transpiring in the elements. Now the characters have phones, head cameras, handheld recorders, even drones. The cast has doubled in size – presumably to maximize the quantity of gotcha moments – while the increased technology drains the film of any and all verisimilitude. What’s fake is fake and there’s no tricking us into believing otherwise. I’m still trying to twist my head around the notion that the marketing required secrecy. Once bearing a different title, then labeled as a spin-off. 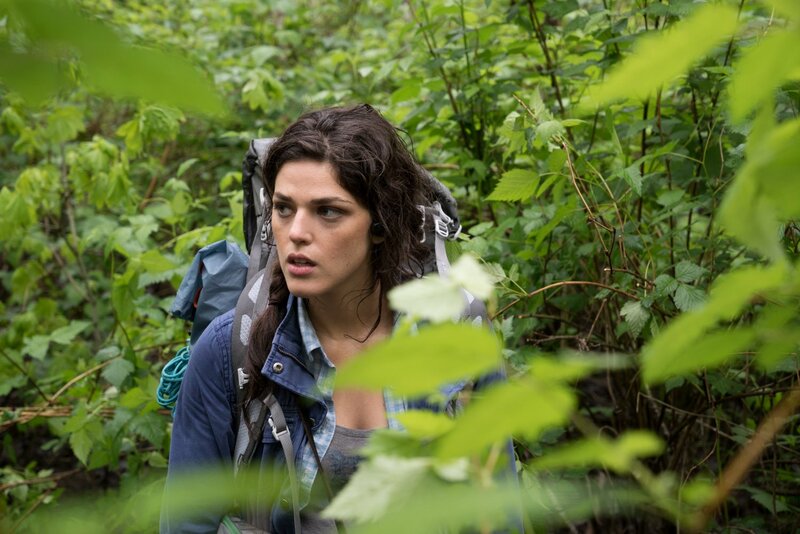 Nope, Blair Witch is a straight up sequel to a now defunct franchise. So why this movie and why now? All signs from director Adam Wingard point towards the inclusion of the previously noted technology in what’s a clear creative misstep. The Blair Witch Project was not a great film, but it was clever for its time, released right on the cusp of the internet age, the last movie to actually convince audiences they were watching truth. There was art in its dismantling of the artifice, whereas Wingard’s movie barely functions as a coherent story and is only worse off for ignoring to adapt to the times. 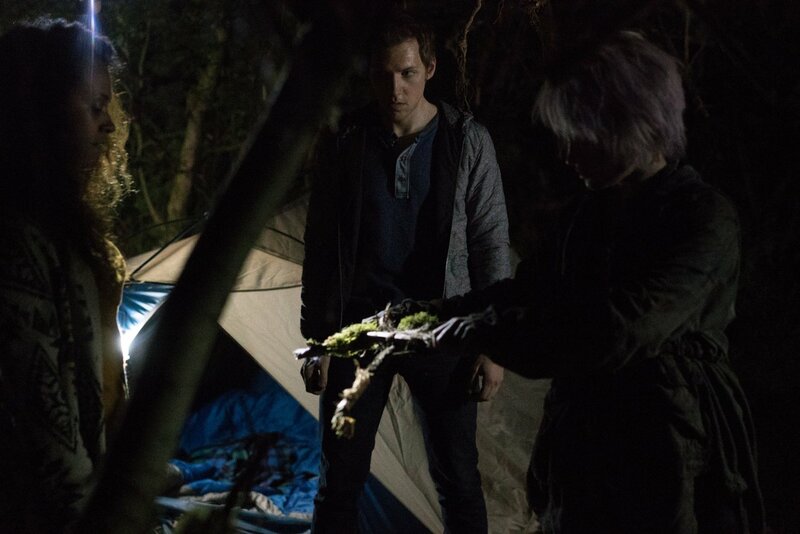 Blair Witch is a small-scale and VHS quality disaster attempting to be projected through the gorgeous lens of high-def resolution. Apparently some things are easier said than done.